Well, this award is long, long, long overdue since my really cool fellow blogger nominated me for this more than a month ago. This owes to the procrastination in my head and the forgetfulness to top it, because I had actually written this entire post down long back, and then had entirely forgotten about it. So without further adieu, or ramblings and explanations for my unexplainable self, here goes The Sunshine Award. I was nominated by BlackCat345 who I really appreciate for giving my blog regular visits no matter what and posting stuff that really cheers me up. I’m personally a big fan of her hand art owing to how much I doodle mindlessly. Write the same amount of questions for bloggers you nominated. There’s no naming one! But the Throne of Glass Series I’m currently reading is definitely one of my many favourites. 2. If you could change your name to anything, what would it be to? 5. What is your favourite subject? Maths comes off as challenging to me most times, but I really enjoy it. English is the one subject, the one class after which I don’t go like, ‘Whaaaaat?’. So, English too! The Sunshine Award is a lovely orange flower that bloggers give to other “bloggers who positively, inspiring and creatively inspire others in the blogosphere”. So without further thought I nominate Uday, Himali, Huma, Karthik and Leela for the same fellow blogger boost. =) But, take your time, really. What is something about you that you normally don’t say while describing yourself? If given the chance, would you travel back or forward in time? What’s something you can never leave the house without? What is your favourite way to pass time? What is something you have always wanted to learn? Blogging has been an absolute delight and a great experience all together just from the one month that I’ve been actively doing it. I’ve got the chance to connect with several talented bloggers from all across the world, of whom Leela, The Girl Next Blog, (yes, her blog is just as cool as her name is!) 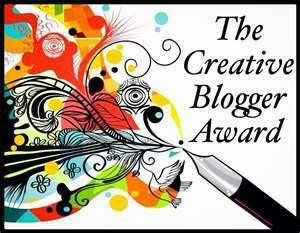 has nominated me for the Creative Blogger Award. Without further adieu, I felt the need to thank her whole heartedly for spreading the fellow blogger love and appreciating the bundle of my-typed-out thoughts so kindly. She’s an amazingly talented writer whose posts will leave you rolling on the floor, and then stopping, and wondering about the deep seated, underlying insight she so cleverly conveys. Check her out if you haven’t yet! So, apart from the happiness and boost you get for someone out there honouring your writing, the award comes with a bunch of rules. If you find your name in the nominees, keep your head held high and do the same. Step 1- Nominate 15-20 blogs and notify the nominees. 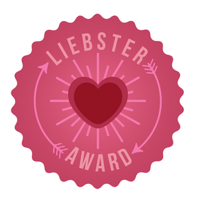 Step 2- Post the link of the blog that nominated you. Step 3- Last but not the least, in your honour, share five random facts about your humble self. So here are the nominees, fresh, off the press, filled to the brim with talent and inspiration. Spotlights! Here go the random facts about me, which have nothing to do with anything. Yet, I hope you enjoy them! I am scared of dogs. Yet there’s a huge part of me that wants a dog, who would be my constant source of happiness. Maybe getting one would be the solution to my fear. But again, convincing my mother that the little creature wouldn’t make a mess, would stay quite, and wouldn’t trouble her isn’t the easiest task on earth. I can almost never get the lyrics to a song correctly. Even the songs that I’ve been listening to since a decent number of years, I manage to mess up pretty well. For instance, instead of ‘The answers are all inside of me, all I’ve got to do is believe’ I sing, ‘The answers are wrong inside of me, all I’ve got to do is leave.’ I appreciate your concern for the song’s genuine lyrics. But I’ll end up singing it my way regardless of the number of times someone tells me the correct lyrics. I find it physically impossible to wink. Even if I somehow pull it off, it isn’t even the closest bit to a cute, graceful wink. You could imagine it like in the soap commercial Deepika Padukone features, just that except it would be the kind of wink she’d do if the soap would’ve gotten into her eye. I love reading Young Adult/ Children’s books. I don’t know if it’s the short story length, the light hearted plot, the unrealistic, yet ever cheerful characters, the happy ending, or my mind which is in constant denial of growing up. The last reason might be the reason why it took me a while for The Da Vinci Code’s story to sink in to my head. Give me a YA novel, and I’d read it any odd day. Questioning everything that ever happens is my forte. If I’m not asking them out loud, my head is always filled with questions of what would happen? How would it happen? Why would it possible happen? You can contact me if you feel like you’re really smart. I will be an excellent test to that smartness, and to prove you wrong by failing you in my question-answer face off. I’m just kidding. You’re probably smarter than I am. No worries.